The NSW Government has made one of its greatest ever investments in regional health infrastructure to support the swelling population of the Central Coast, set to reach an estimated 400,000 residents in the next 20 years. 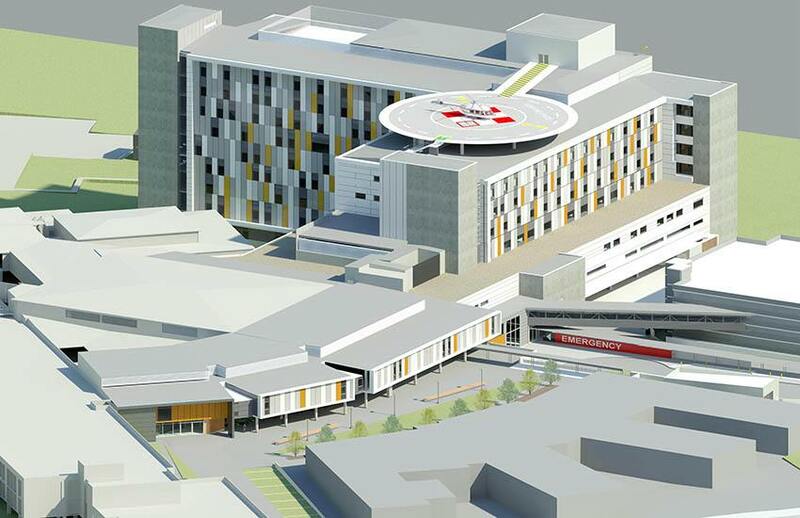 Gosford Public Hospital has been granted a $348 million redevelopment, one that has taken extensive measures to prioritise the needs of the community, and of the clinical staff that will serve them. Distinguished on size alone, the newly developed facility will tower 11 stories high upon completion. As the new beacon for regional healthcare, Gosford Public Hospital will home an extensive array of new wards, units, and services, while existing areas receive timely upgrades. ESCO Industries was privileged to partner stakeholders with a matching commitment to the delivery of world-class healthcare. The developments and refurbishments will feature ESCO products throughout all 11 floors of the facility. ESCO Industries were contracted to supply their proprietary Alphamax flush mounted medical services panels and medical gas isolation valve boxes that will occupy the hospital’s new additions, which include; an emergency department, a psychiatric emergency care centre, an intensive care unit, endoscopy facilities, a women’s health clinic, a paediatric treatment unit, a nuclear medicine department, rehabilitation units, operating theatres and patient recovery beds, expanded maternity and cancer treatment services, upgraded cardiac catheterisation labs and cardiovascular services, additional medical imaging services, inpatient wards, and outpatient services all of which will triple the hospital’s existing capacity. The scale of the expansion for Gosford Public Hospital ultimately seeks to enhance and ensure the quality of regional healthcare well into the future.